Why Won’t an Attorney Take my Property Damage Claim? I receive quite a few calls from individuals who have been involved in automobile accidents where they were not physically injured but want to hire me to handle their property damage claims. If I am handling a personal injury claim for a client, I will handle the property damage claim free of charge. I am also happy to answer any of my injured clients’ questions regarding property damage claims which they are handling on their own. However, I do not handle non-injury property damage claims, and I am aware of several other personal injury attorneys who share this policy. 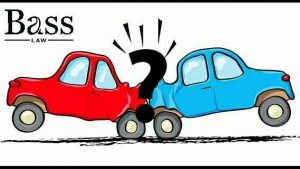 When an automobile sustains damage in a collision, the property damage claim ordinarily requires little to no negotiation and resolves much quicker than a bodily injury claim. Essentially, your vehicle will either be deemed a total loss or repairable. If the vehicle is deemed a total loss, the insurance company makes an offer based on what they determine is the fair market value (FMV) of your vehicle. You can research FMV on your own utilizing websites such as Edmunds (http://www.edmunds.com), Kelley Blue Book (http://www.kbb.com) and the National Automobile Dealership Association (NADA) (http://www.nadaguides.com). While there is some room for negotiation to account for special accessories, recent additions, etc., the fair market value is fairly straightforward. If the vehicle is deemed repairable, the insurance adjuster will often send out a vehicle appraiser to prepare an estimate for the repairs or recommend that you take the vehicle to a particular body shop to obtain an estimate. It is always prudent to take your vehicle to a trusted body shop and obtain your own estimate of the property damage, making sure to obtain approval from the insurance adjuster for any additional work or costs before commencing repairs. Because there is rarely any special skill required to resolve a property damage claim and there is generally not a lot of room for negotiation, it does not make sense to me for an individual to pay me money that could be used toward repairing or replacing his or her motor vehicle. Attorney fees for a property damage claim are typically 33 1/3% of the recovery. In most cases, it would be counterproductive for an attorney to handle the property damage claim, because you would end up with less than the full value of your vehicle or less than the amount needed for completion of your repairs. This is not to say that you won’t be able to find an attorney willing to handle the property damage claim, but be aware that you may be paying an attorney to handle something that you could have handled on your own. If you or a loved one has been injured as a result of someone else’s negligence and you would like to discuss your personal injury and property damage claims, contact Bass Law to schedule your free, no obligation consultation with Attorney Dondra Bass O’Neal. You may contact us directly through this website or by calling 912-344-4294.